So what do you get as a birthday present for someone who loves powerful blenders and has a blender blog? Apparently you get them a Blendtec blender! 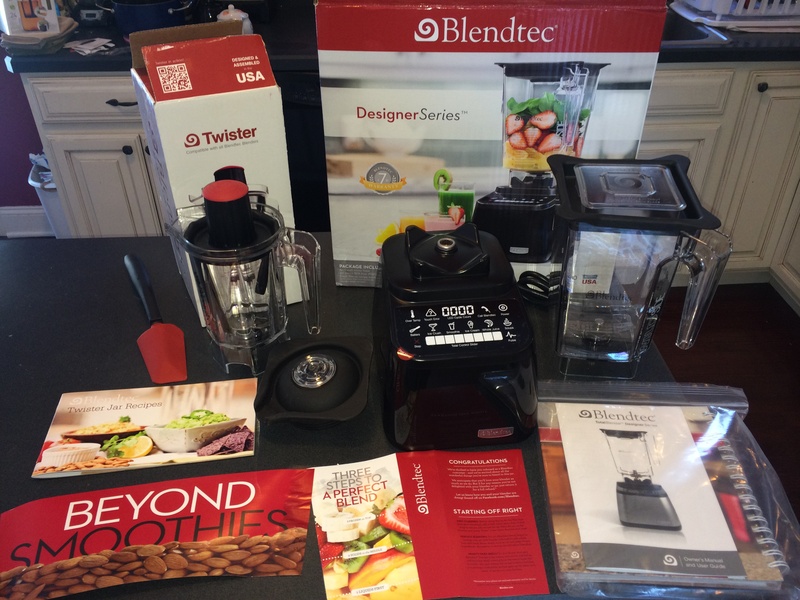 The boxes and contents of the Blendtec Designer Series and Twister Jar I received yesterday. 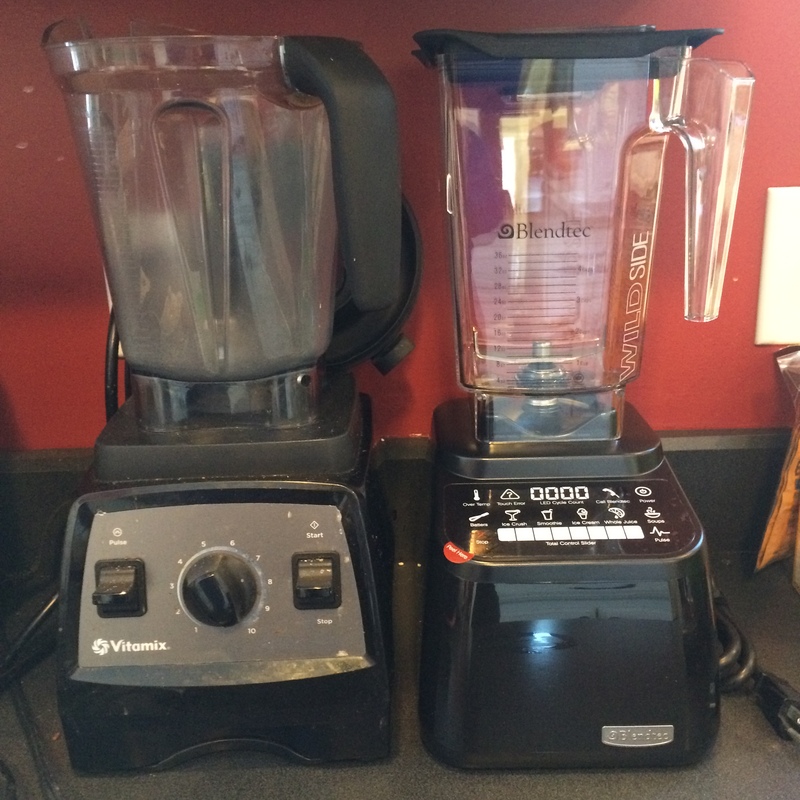 Now, I do already have a Vitamix 7500 , and if it weren’t for this blog, I don’t know that I’d want a second blender, nor do I think anyone would have thought to give me another blender, but I was actually really excited to get this! As I detailed in a blog post from 2011, Blendtec was the other option I was looking at way back when I bought my first Vitamix. I’ve been in Japan for the last month, which is the reason for the lack of updates, and the whole family is still jet-lagged. As soon as my sleeping cycle is back to normal, I will gladly start with a basic comparison of the 7500 and the Designer Series. My Vitamix 7500 and Blendtec Designer Series side-by-side on my kitchen counter. For now, I’m very happy to hear any requests people might have of things they’d like to see or hear about the Blendtec blender. My next post will likely be a comparison of the obvious physical differences and similarities, but after that, I’d very much like to put the Blendtec through it’s paces, and try the two blenders on the same recipes to see where their strengths and weaknesses are! If you have any requests, let me know in the comments!